Are you tired of feeling less than attractive because of chips, cracks, gaps, and stains in your smile? It’s probably time to schedule an appointment with a cosmetic dentist in Lakewood, Dallas. Dr. Drew Vanderbrook would love to help you reach your smile goals with our comprehensive cosmetic services like porcelain veneers, Invisalign clear braces, and Opalescence teeth whitening. When you decide to visit Vanderbrook Family Dentistry, you can be confident that your smile dramatically improve as well as your confidence and quality of life. 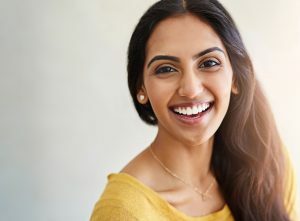 If you’re interested in getting a quick solution to several cosmetic flaws in your smile, porcelain veneers may be the answer to your problems. Porcelain veneers are thin, lightweight shells of dental ceramic that almost resemble a fingernail. They cover the front surfaces of your teeth for a complete smile transformation. Achieving a brighter smile has never been easier with these two options: in-practice and at-home professional teeth whitening with Opalescence Boost. You don’t have to worry about purchasing over-the-counter products that aren’t nearly as effective as a doctor approved professional whitening products. Each treatment is specialized to fit your whitening goals, just watch the process here! Look at all these ways teeth whitening can benefit you and your smile. Contact Vanderbrook Family Dentistry Today! Are you excited about the different possibilities you have at your fingertips when you decide to visit our office for your cosmetic dental work? Within just a few appointments, you could have a completely different looking smile. Call our office to schedule a consultation to discuss your smile goals with Dr. Vanderbrook!